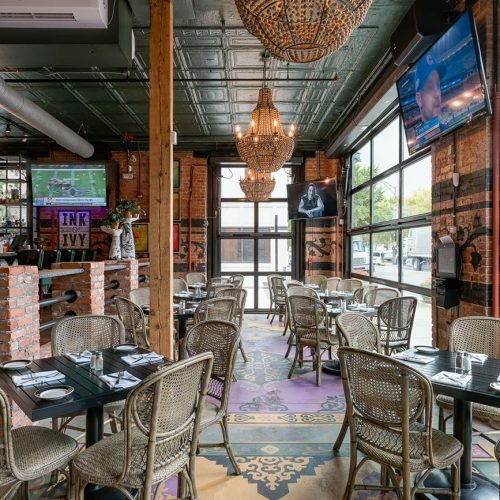 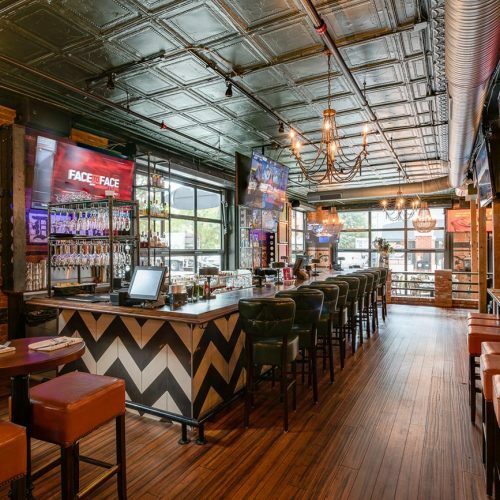 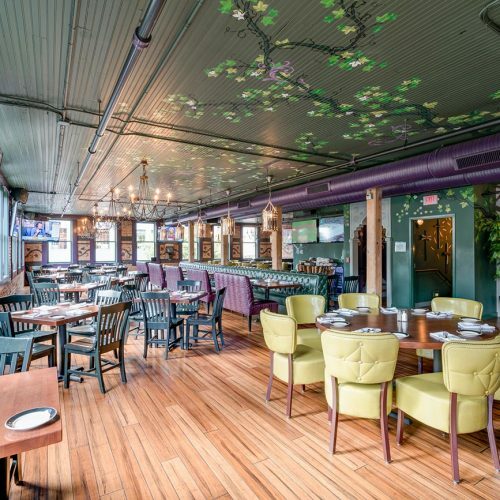 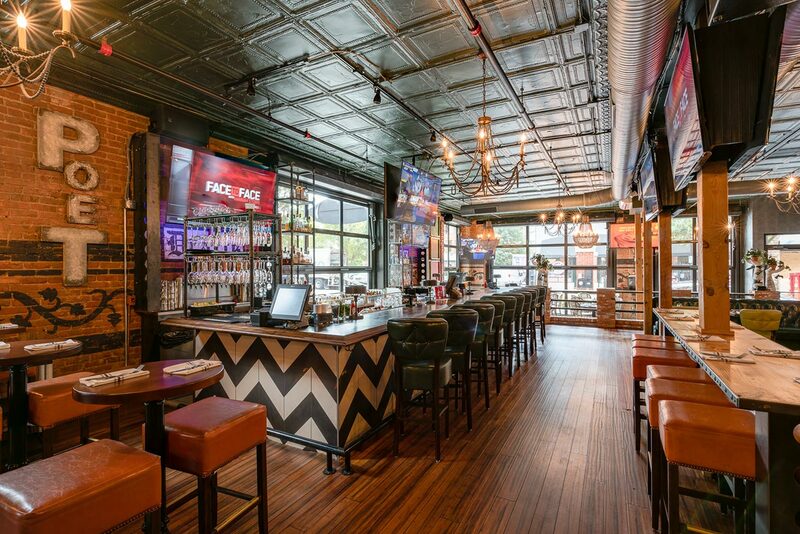 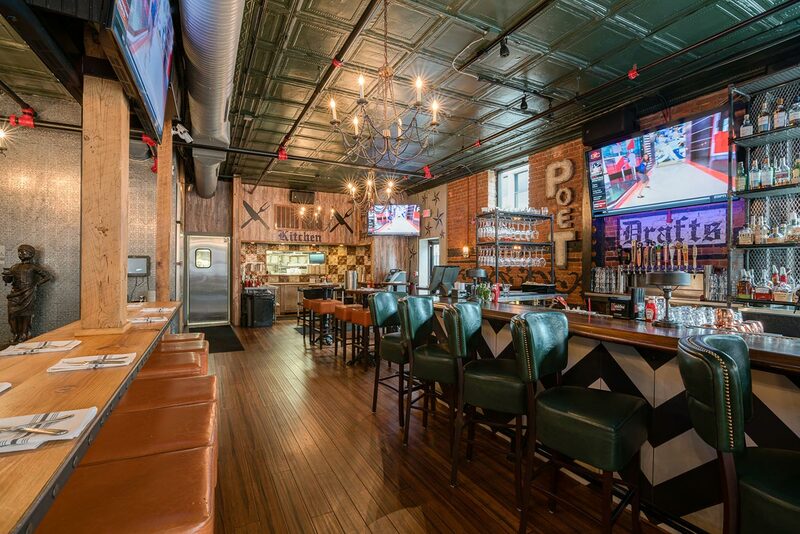 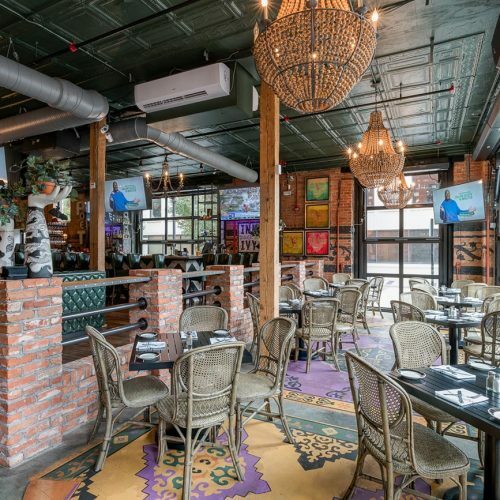 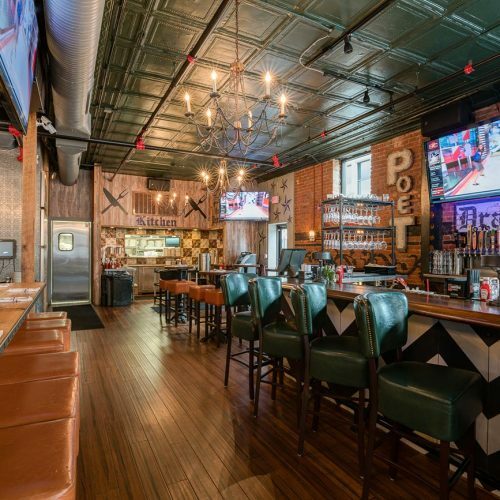 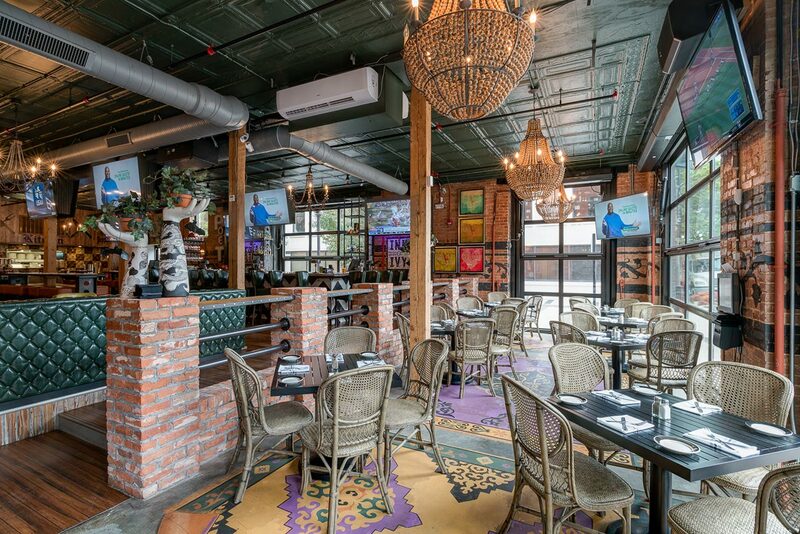 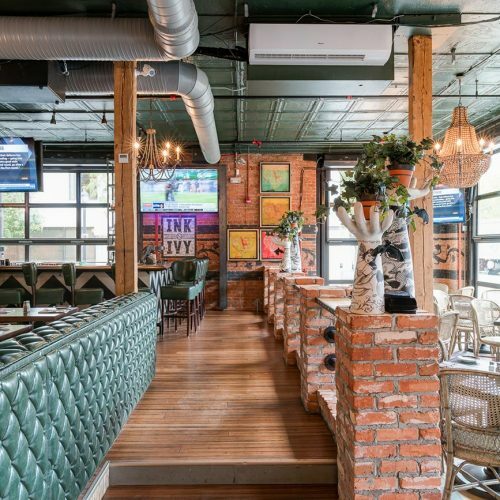 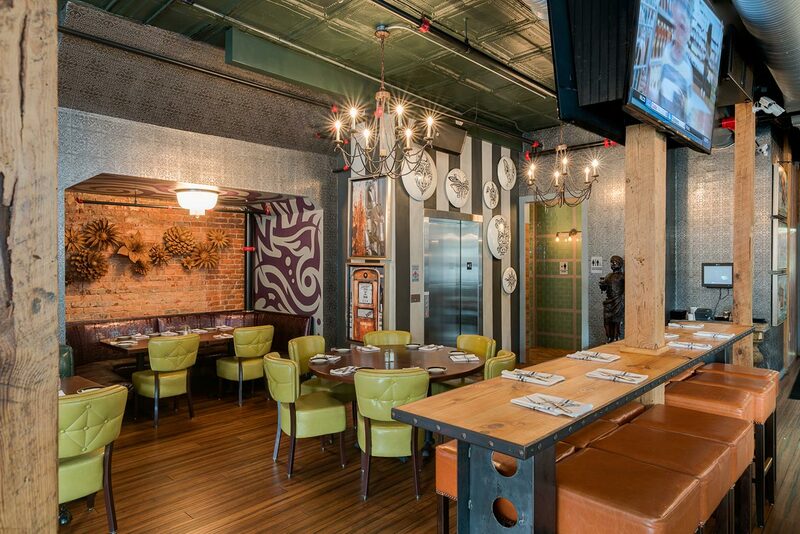 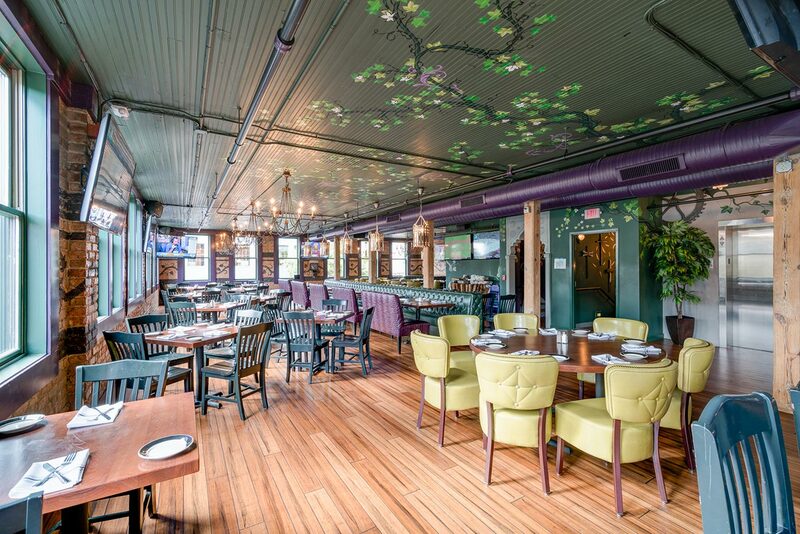 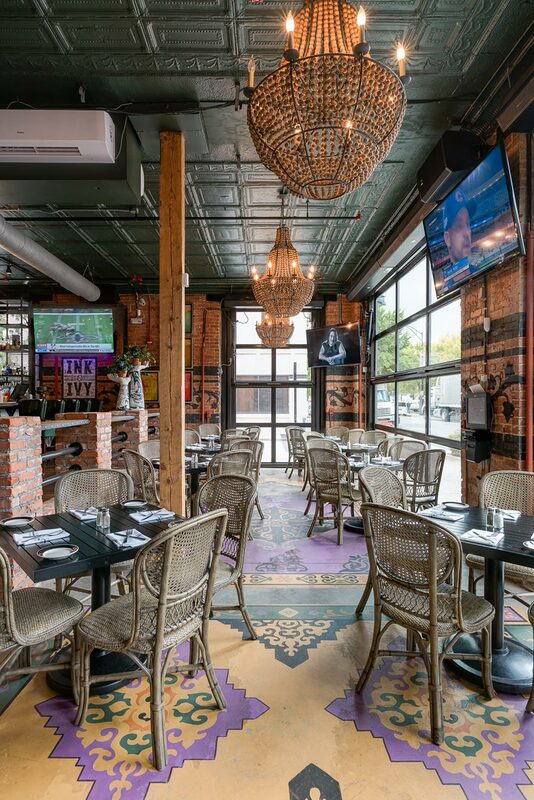 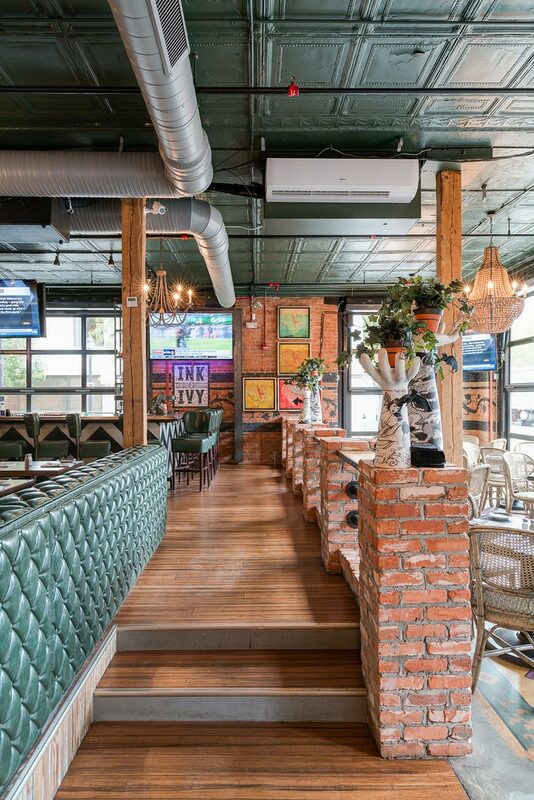 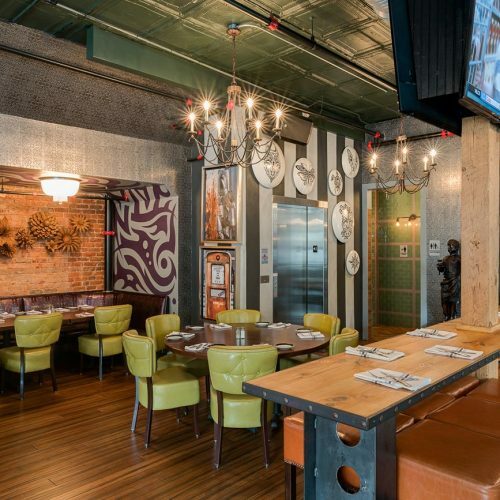 The owners of this eclectic restaurant focused every design decision on creating a high visual experience, using various seating venues for socializing and the celebration of well prepared food and drink. 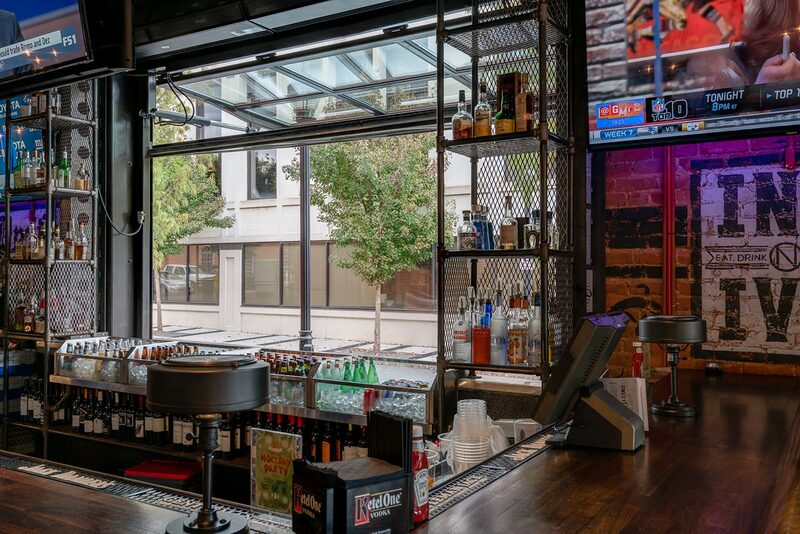 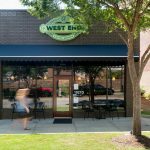 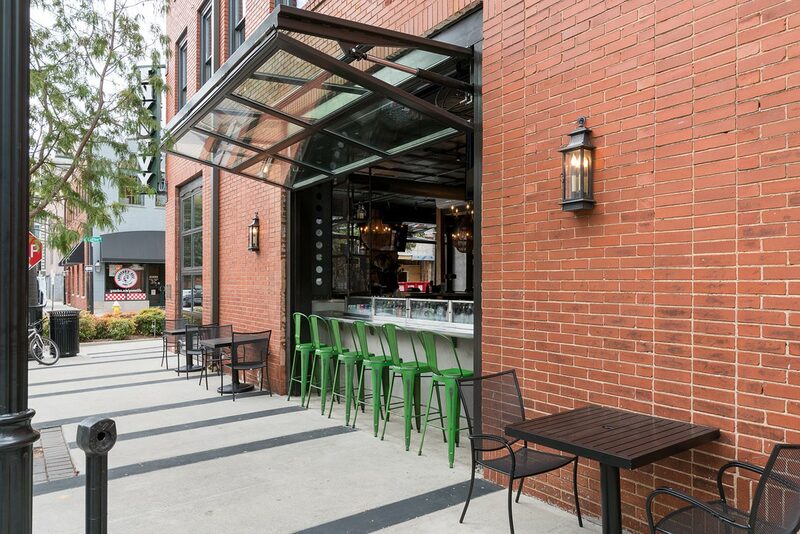 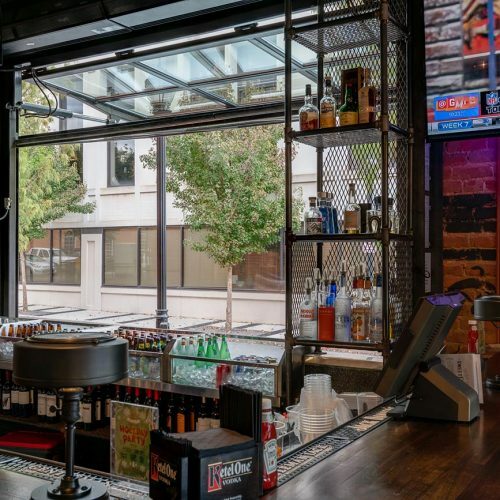 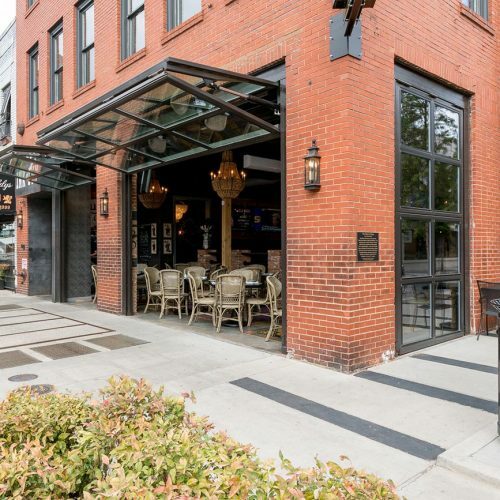 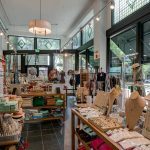 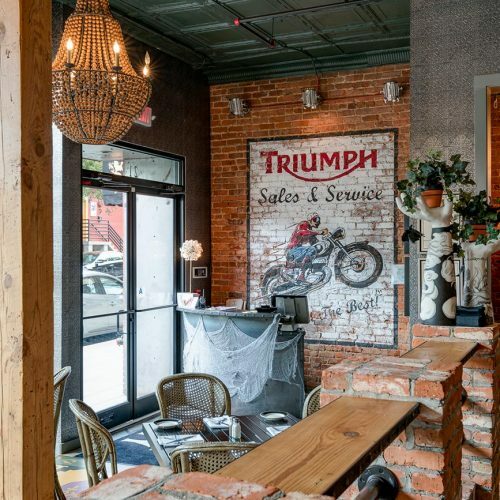 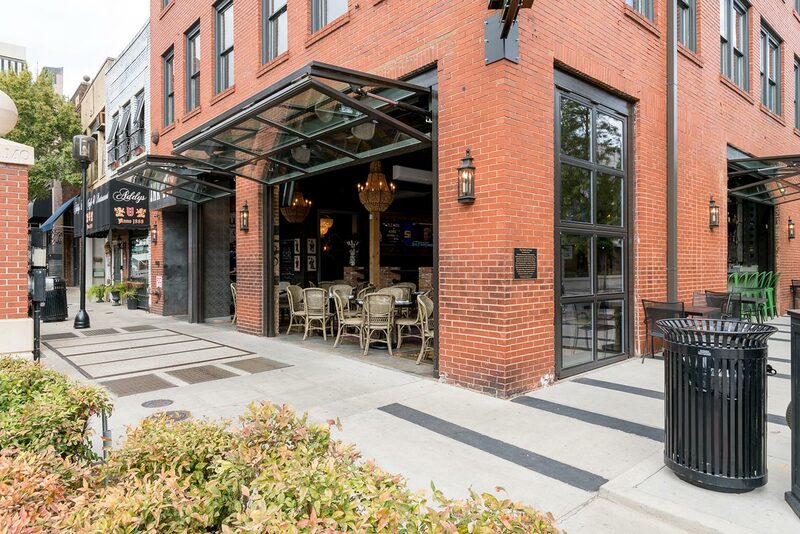 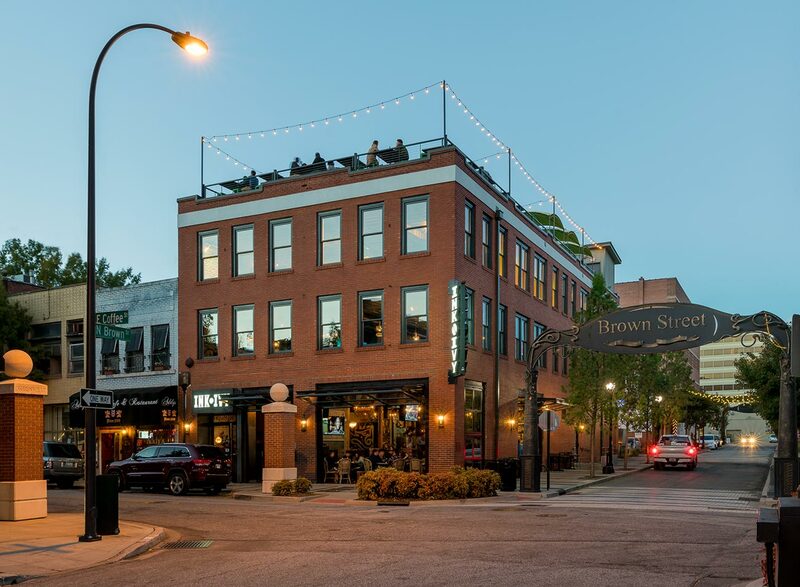 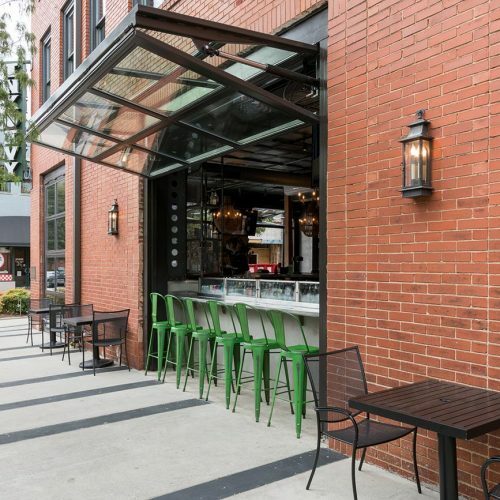 The restaurant inhabits an early 20th-century building in Greenville’s Central Business District, engaging the sidewalk to create an interactive pedestrian experience. 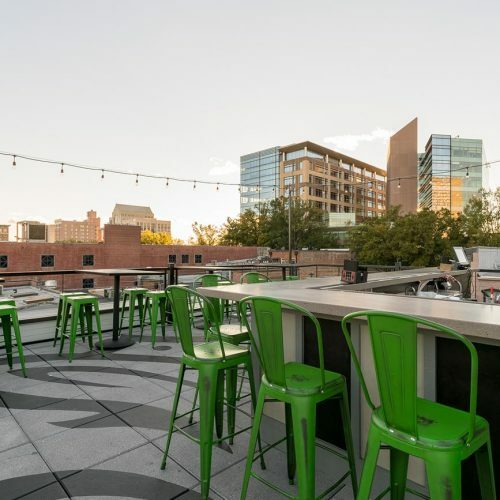 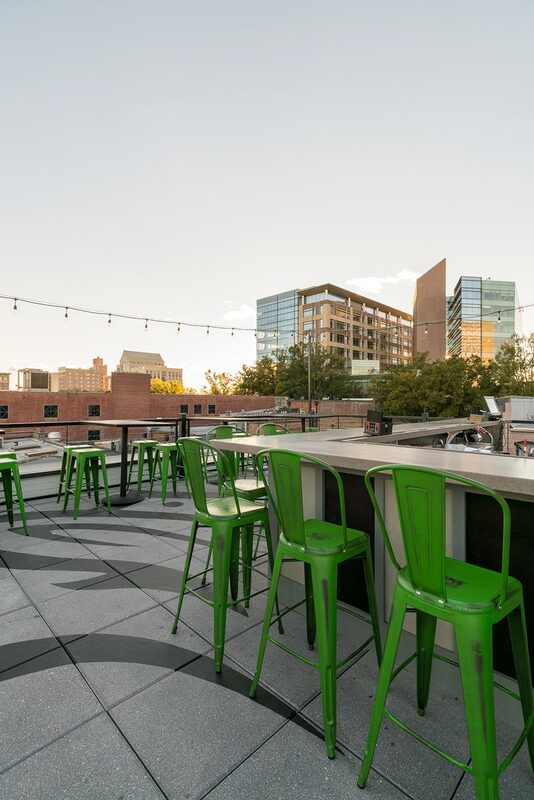 Eclectic interiors take patrons through three floors to a rooftop bar, all offering vantage points to enjoy the view of downtown. 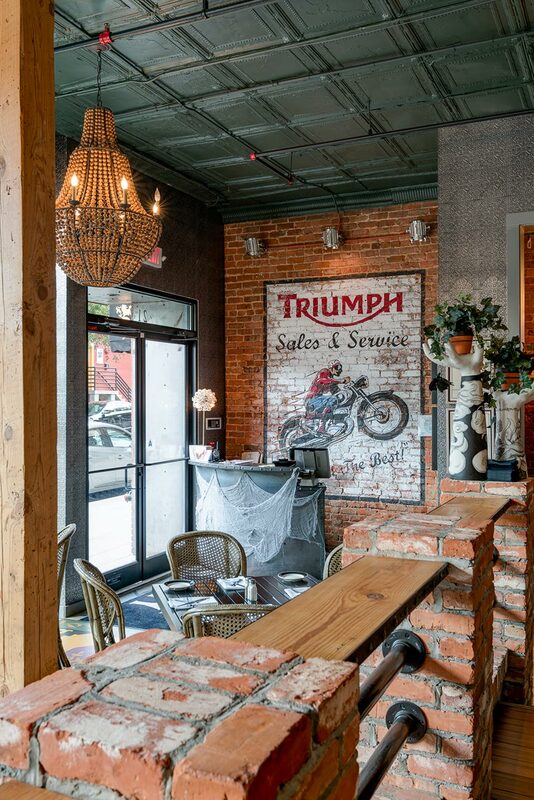 Vintage materials, clean lines, dramatic art and varied lighting combine to create visual drama.